"I had a lightbulb moment a few days ago when I opened up the fat quarter bundle of Indian Summer fabrics I bought for the twin baby quilts. 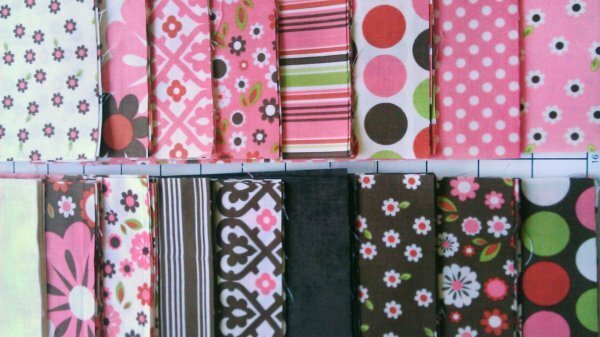 Initially, I wanted to use a charm pack, but I couldn't get the number of each pattern that I wanted with them, so I opted to just cut what I need from the fat quarters. They were all folded up and it occurred to me that instead of traditional pinwheels, I should do 3D ones! "In order to make these 3D pinwheels, you only need 8 fabric squares of any size you like. Mine all were 5"x5". 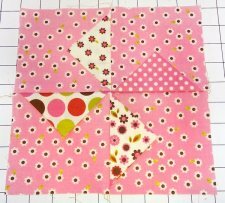 If you use a charm pack, these blocks will fly together, because all the cutting is already finished! But, the larger your starting squares, the larger the block will be. My finished blocks were just over 9"."